If you live in this town and you need a reliable garage door repair company, Garage Door Renton is the name you ought to remember. We can offer you the best garage door services at the most affordable prices. Garage doors may wear out in time and must be repaired immediately in order to keep operating perfectly. All mechanical and electrical parts must be regularly examined by professional experts, who will determine whether there is a need for certain repairs or replacements. You have invested large amounts of money on your door and don’t want to see it get rusted because you tend to neglect regular services. Remember that even minor malfunctions may cause bigger problems, if they are not repaired immediately. Our technicians will inspect your door and detect any possible damages, which need to be repaired. All garage door parts are very important for its steady and stable performance and must be kept maintained and well cleaned. Yet, some particular parts, such as the springs, need special treatment and care. Actually, they carry the load of the door counterbalancing its weight, so that it can open and close effectively. If the springs break or get damaged in any way, your door may be jammed or cause accidents. At the same time, you must keep in mind that the springs must always be repaired and replaced by professional and trained experts. If you attempt to do this job on your own you might hurt yourself badly. After all, the springs are very heavy. If you consider that they manage to lift the entire door, which weighs more or less about 400 pounds, you can easily figure out their weight. 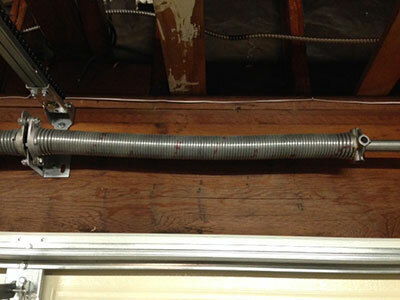 The technicians will install extension or torsion springs to your door depending on its weight. Depending on the type, they are placed at the top center or at the two corners of the door and they usually come in pairs. It always depends from the door’s weight. 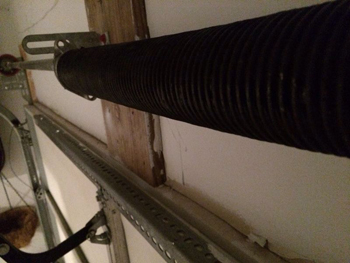 They must be tightened to the wall so that they can withstand the pressure when they lift the garage door. During a regular service, the technicians will also check the condition of the cables and the tracks because they must also be in excellent shape. If the springs snap at any point, the cables may hold them up to avoid any fatal accidents. They will also examine the opener because it is responsible for the opening and closing of the door while the springs lift the weight. Garage doors are complicated devices and must always be repaired by professionals. We, at Garage Door Renton, have the expertise and the knowhow to provide you with the best services and we are here for any advice or consultation as well.